This week, singer-songwriter Ed Sheeran launched a contest for one lucky fan to fly to his show in New York City for a private backstage guitar lesson. The "Perfect" singer has offered the amazing prize in order to raise awareness and funds for Drop4Drop, a charity aiming to provide access to clean water to people around the world. 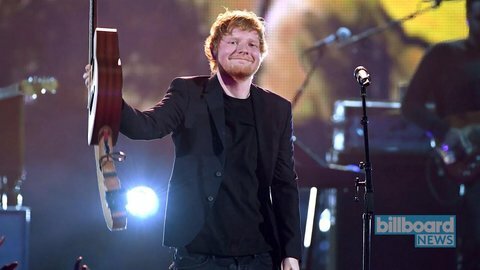 In a video released on the contest's website, Sheeran says, "I will teach you to play one of my songs on guitar, and then you’ll get a guitar that I’ll sign and give to you after the lesson." The guitar lesson will take place backstage at his show at MetLife Stadium in New Jersey. "So you’ll also get to go to that gig. I will pay for you to be there, so I’ll fly you out to New York, cover your hotel and give you tickets to the show." The competition will be open until September 1, and the lucky winner will be chosen on September 7. Watch the informational video below, and enter for a chance to win here.